This is a sample photo release created on a mobile device which can be signed and emailed from my smart phone. 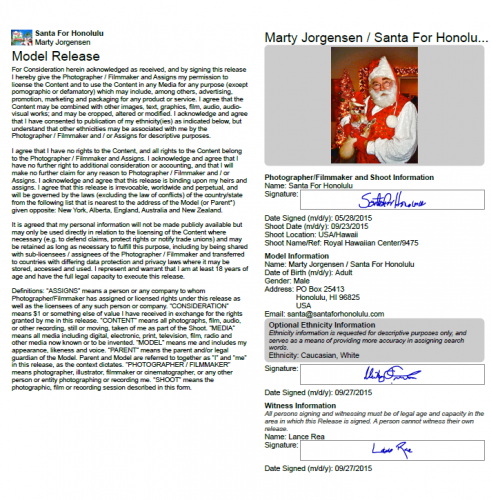 You are free to download and use for starting your own photo release form. Thought I would add a link to the program. It is available for both IOS and Android.